Equatorial Guinea have protested to the Confederation of African Football over their disallowed goal against Congo. Emilio Nsue had a goal harshly ruled out for offside in the 1-1 draw but also scored one that looked offside. Equatorial Guinea Football Federation president Andres Jorge Mbomio said in a letter he believes there is a plan to stop them reaching the next stage. Mbomio added he felt the decision was an injustice and possibly a predetermined action of the referees. He also invited Caf to correct the referees and stop their behaviour, adding that in his opinion it is not the first time that affects the national team. 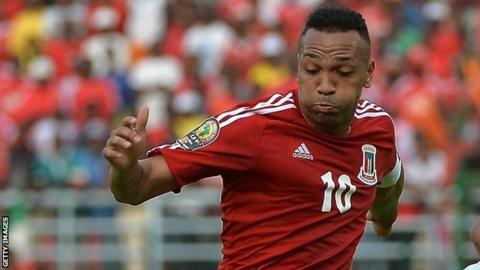 Equatorial Guinea were given their place at the tournament when the country stepped in to replace Morocco as hosts in November. They had been eliminated in qualifying for fielding an ineligible player against Mauritania in May. The National Lightning play their second Group A game against Burkina Faso on Wednesday.